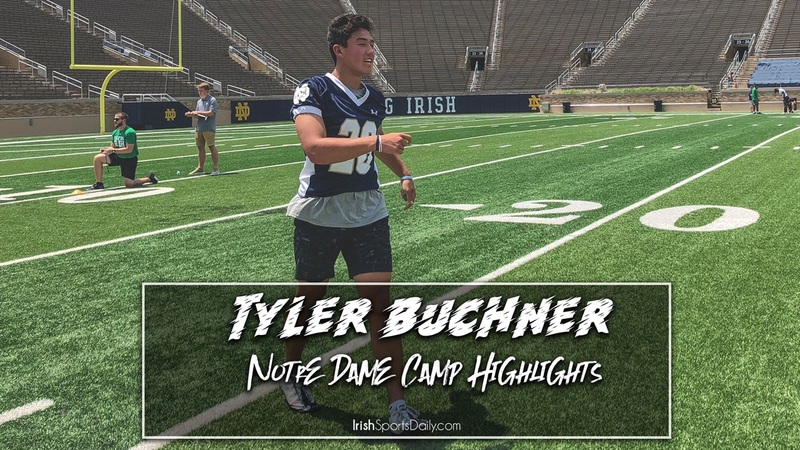 2021 The Bishop’s School (Calif.) quarterback Tyler Buchner made his way to South Bend in June for Notre Dame’s Elite Skills Camp. The 6-foot-2, 200-pounder added an offer from the Irish shortly after the camp and will now take his third visit since June in February. Buchner did tear his ACL in the first game of the season, but he also stated he’s well ahead of schedule in his rehab, which includes running as well as throwing. With limited film/highlights, I just wanted to repost this to show why Notre Dame has him at the top of the board despite the injury.